Nestled 25 miles to the West of London, Windsor is best known for the Royal Residence of Windsor Castle and Windsor Great Park. Windsor itself is situated in the Thames Valley, close to a number of transport routes providing easy access to London and beyond. Windsor is part of the district of the Royal Borough of Windsor and Maidenhead and the entire area has a large economy boost year on year due to tourism in the region. Windsor attracts 7.2 million tourists on average each year and 12% of income generated in the region is directly related to tourism. 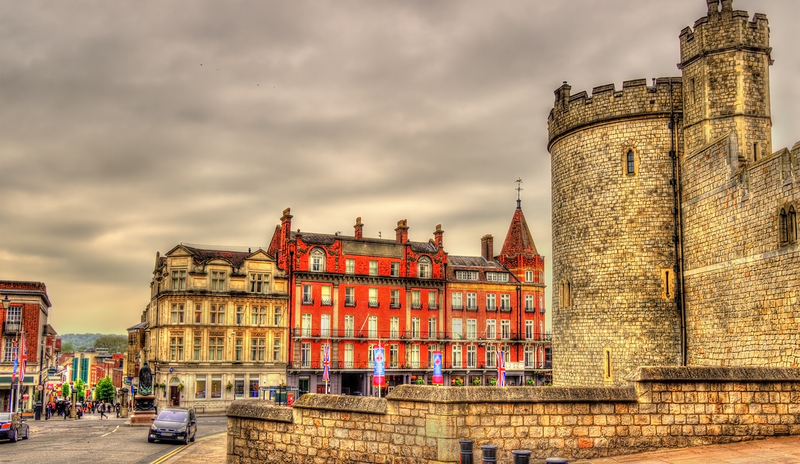 Due to Windsor’s location and its proximity to London a large number of businesses are geared towards the tourism industry. Reported turnover in 2015 was £625,277,000 for the businesses both directly and indirectly related to tourism.. Situated a mere 30 minutes by train into London Paddington, with the option of two train stations that provide excellent transport links to the capital and the West. In addition to Crossrail ( 2018) there will also be the WRAlth (western rail link in to Heathrow, starting from 2019) which will provide even better services into the town. There are in addition good bus and train networks throughout the surrounding areas. Heathrow International Airport is a 15- minute drive and in addition both Luton and Gatwick airports are approximately 45 minutes away providing good air links in to Europe and the rest of the world. The M4 motorway at Junction 6 is a 5-minute drive providing excellent access to London and the West. The M25 London Orbital Motorway is 10 miles distant allowing access the rest of the nation’s motorway network. There are a wide range of commercial properties available in Windsor, with different properties available to best suit your business needs. Whether you are seeking to locate a headquarters’ facility, a manufacturing business, requiring storage or a shop or restaurant space, there will be premises to suit your specific requirements and budget. Windsor has a mix of offices providing new modern buildings along with smaller town centre suites. Enquiries for space in and around the Windsor area are at record levels with such companies as Centrica, Nintendo, Golf Breaks and FM Global already located there. Despite the Brexit vote, businesses are keen to invest. For smaller/start-up companies Windsor has a good selection of serviced office offerings, including Regus and a number of independent operators. Regarding Warehousing/industrial properties, Windsor isn’t renowned for any major business parks, with a small number of estates located on the outskirts of the town. The main retail areas are King Edward Court Centre, Windsor Royal Shopping Centre, Peascod Street and the High Street. Major occupiers include Waitrose, Boots the Chemist, Daniels, Fenwicks, Superdry and Cotswold Outdoor. The town centre has a mix of multiples and small independent traders. Eton High Street just across the river Thames from Windsor is exceptionally picturesque and generally boasts a number of independent retailers, whose main focus is on individuality and high customer service. Being in a well established and very popular location where companies are keen to locate and along with its proximity to Heathrow Airport and excellent accessibility to London by road and rail, rents have remained high and have continued to rise over the years. Due to a lack of supply of offices recently and few new developments in the pipeline, there has been good rental growth which we envisage will continue. As such a popular tourist attraction and allied to the excellent retail offerings the town centre has also experienced good retail rental growth and strong investment yields with currently very few shops to let in Windsor, so you want to keep a close eye to new listings and go and view them as soon as they appear. There are a wide range of commercial properties available in Windsor to best suit your business needs. Whether you are an office occupier, manufacturing business requiring storage or a shop or restaurant, there are premises to suit your size requirements and budget. The majority of office properties a situated very close to the town centre and within walking distance of both rail stations. With Windsor being a town that is in its essence geared to the tourist industry, the best locations are highly sought after. If your industry is consumer based, then Windsor Royal Shopping Centre is ideally situated for boutique shops, niche restaurants and bars. Based in the Victorian Railway Station, the shopping centre is directly opposite the Castle, meaning the footfall from prospective customers is extremely high. Both Peascod Street and King Edward Court are the main retail areas and as such where the majority of the shops are located. The bottom end of Peascod Street and along St Leonards Road are locations for independent traders providing a more eclectic offering. There is nothing more frustrating than looking for commercial properties in Windsor online, deciding whether they are worth viewing and weighing up any potential compromises, to then go there and find they are unsuitable. By engaging a local, knowledgeable commercial property agent, you can be assured that you are advised on properties that best fit your needs. By engaging a local expert, you can also keep ahead of the competition. Commercial properties in Windsor, that fit a small to medium business can be hard to find. Most companies who have engaged a local property agent have found that they hear about suitable properties sooner and often are more successful in securing them on favourable terms. A local property agent will also save your business time and money and frees you up to focus on the business in hand – relocating your business and the associated logistics that go with it.